Note to readers: The summary below was authored in 2014. It does not reflect changes that have occurred since then, such as the exit of Ecuador from the ALBA in August 2018. The page will be updated in 2019 to better account for recent developments [posted 20/03/2019]. What is the ALBA and who supports it? What are the roots of the ALBA? What have been the practical implications of the ALBA? Hopefully these will answer the most common questions about the alliance and provide a starting point from which to explore the topic further. The Bolivarian Alliance for the Peoples of our America (or ALBA for short) was founded on the 14th of December 2004 when presidents Hugo Chavez of Venezuela and Fidel Castro of Cuba signed protocols bringing the agreement into existence. In its own terms the ALBA is defined as an “integration platform” whose fundamental purpose is to achieve “integral development” for Latin America and the Caribbean through a process of integration inspired by the likes of Simon Bolivar and Jose Marti. Beyond a narrow focus upon trade which has tended to mark other regional agreements, the ALBA professes to be a “political, economic, and social alliance in defence of independence, self-determination and the identity of peoples comprising it” (ALBA-TCP 2010a). 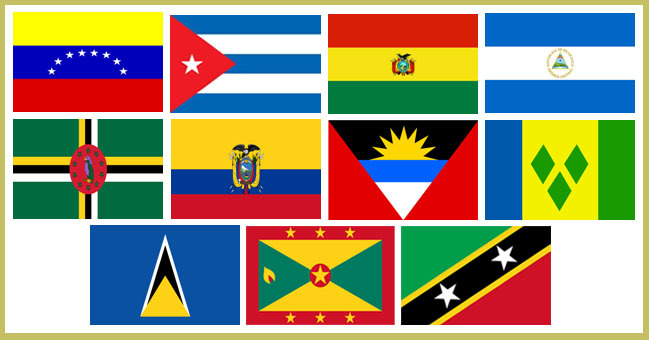 From modest beginnings the ALBA has grown to include eleven full member states which, in order of joining, are: Venezuela, Cuba, Bolivia, Nicaragua, Dominica, Ecuador, Antigua and Barbuda, Saint Vincent and the Grenadines, Saint Lucia, Grenada and the Federation of Saint Kitts and Nevis. Although national governments within Latin America and the Caribbean (or “Our America”) are its most prominent supporters, the ALBA works on many levels and with a wide range of social actors who are not confined to the territorial limits of its official member countries. On a local level the ALBA has forged links with FMLN ran municipalities in El Salvador, and its social programs (or “missiones”) have reached across much of “Our America” – even expanding into Africa and the USA. Social movements such as Via Campesina have rallied behind the ALBA, vocally declaring their support and moving to participate in its operation (Harris and Azzi 2006 p.14). Such social movements are officially involved in the ALBA through its council of social movements which is theoretically on par with government ministers in terms of authority. In its own publications the ALBA positions itself as anti-imperialist, anti-neoliberal, and sometimes even anti-capitalist; in contrast to that which it opposes the ALBA professes to be building an alternative based on the principles of solidarity, co-operation and complementarity. As can be seen by the plethora of integration agreements across the continent and through a brief study of Latin American history, the idea of Latin American integration is far from novel (Baumann 2008). Whilst emphasising its own peculiarities, the ALBA recognises this and explicitly sees itself as a revival of the project of Latin American liberator Simon Bolivar. Throughout documentation published by the ALBA it is emphasised that the project is a continuation of Bolivar’s campaign for creating a “Big Homeland” which is truly free and sovereign in the face of colonial (imperialist) powers (ALBA-TCP 2010a; 2010b). Whilst the alliance is explicitly named after “El Libertador”, it also claims to draw upon the tradition of other Latin American revolutionaries such as Antonio José de Sucre and Augusto Sandino. Within the ALBA’s full title (Bolivarian Alliance for the Peoples of Our America), “Our America” stems from Jose Marti’s concept – referring to a Latin America and Caribbean owned and governed by its people rather outside interests (Marti 2008). Although this historical legacy clearly plays a role in the ALBA’s foundation, many see the anti-neoliberal backlash of the late 90’s and early 00’s as being its more immediate catalyst. Throughout the 1980’s and 1990’s most of Latin America went through a period of neoliberal restructuring in which public assets were privatised, regulation of business was loosened and public services were slashed. In many cases these unpopular policies were thrust upon populations by military dictatorships or via the economic coercion of external institutions such as the IMF. However, through the 90’s the balance of forces appeared to be changing as combative social movements and new political parties rose up to challenge the neoliberal state. In many countries governments were thrown out through social uprisings and new anti-neoliberal governments became established. This “pink tide” of new left or centre-left governments, and a revival of militant social movements, is the context in which the ALBA was founded. What have been the practical implications of the ALBA ? In terms of immediate impact the ALBA is often credited as derailing the proposed, and now abandoned, Free Trade Area of the Americas (FTAA/ALCA). The FTAA was a proposed free trade agreement, spearheaded by the US government, which sought to create a hemispheric wide free trade area. Critics saw this as a move which, as was the case with NAFTA, would only serve to benefit the rich and powerful. Initially the FTAA proposal advanced virtually unopposed. However, as the political terrain of Latin America changed, institutions such as the ALBA and the Union of South American Nations (UNASUR), which exclude North America, have been founded instead. The ALBA itself can be seen as the FTAA’s antithesis given how it defines itself in direct opposition the free trade ideology which underlies agreements such as the FTAA. Derailment of the FTAA is representative of two broader trends which the ALBA has strengthened: helping secure a post-neoliberal Latin America, and lessening the grip of US imperialism in favour of independence and self-determination. First of all, the state is being brought “back in” as an economic actor in order to restrict untrammelled market forces. The ALBA affirms this in both its founding principles, and through its practices such as the creation of “Grandnational enterprises”. Whereas the neoliberal economic framework was often treated as “one-size-fits-all”, the ALBA acknowledges the diversity of its members and emphasises that a differentiated approach must be taken. Neither universal removal of protective barriers, tariffs or subsidies, nor compulsory adherence to ALBA programs are conditionality’s for ALBA membership. The ALBA has provided support for peoples and governments who have demanded the removal of US military bases and the cessation of US military-policing operations. Such is the case with the removal of US troops from the Manta military base in Ecuador, and the expulsion of anti-drug enforcement personnel in Bolivia. The ALBA has fostered an expansion in trade between its members, which allows from greater self-sufficiency and lessens the long-standing dependency of these countries on the US market. This intra-ALBA trade has also been complimented by a diversification of the external trading partners of the ALBA countries. Through the creation of a Bank of ALBA and a new regional currency the SUCRE the ALBA is providing an alternative to the traditional reliance which Latin America has had upon the orthodox international financial institutions which many deem to be under the effective control of the USA and Europe. 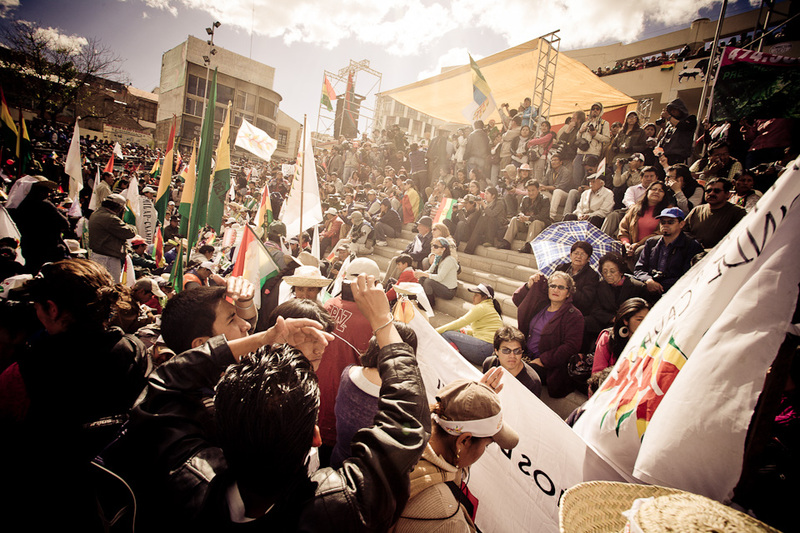 Within international affairs the ALBA countries have supported one and other, denouncing acts which they see as detrimental to one of their members – such as the recent forced grounding of Evo Morales presidential flight in Europe, which was seen as an attack upon Bolivian sovereignty. In terms of reversing the negative impact the “lost decades” of the 90’s and 00’s had, the ALBA’s numerous social programs are often praised by commentators. Here is where the impact of the ALBA “on the ground” can really be felt. In the realm of education Mision Robinson, a program to reduce illiteracy based heavily upon the positive experiences of Cuba, has been extremely successful. Estimated to have reached over 3.8 million people, the program has played a large role in bringing Venezuela, Ecuador, Bolivia and Nicaragua all up to a level certified by UNESCO as free of illiteracy (Muhr 2013b p.54; Freeman 2011). The ALBA faces opposition from forces which are both domestic to Latin America, and forces which are foreign, although this division is not necessarily clear cut. Domestically ALBA governments face opposition from liberal and conservative parties whose social bases mostly comprise of the middle and upper classes; those who resent redistribution in power and wealth from the rich to the poor. These parties have been overwhelmingly unsuccessful in electoral terms, with the governments of Bolivia, Ecuador and Venezuela often winning unprecedented majorities at the polls, in elections which have been declared as free and fair by international monitoring bodies. 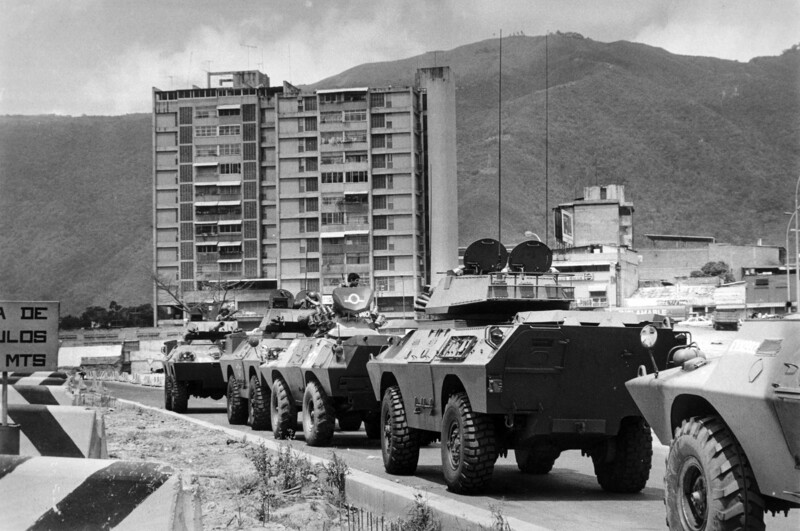 Instead, these opposition groups have relied upon economic coercion, extra-parliamentary violence, and a return to military coups in order to damage the progress of the ALBA. Most notable in this respect is the withdrawal of Honduras from the ALBA following a coup against President Zelaya in 2009. Unsurprisingly, the US state has opposed the Bolivarian Alliance right from its inception, labelling the ALBA an “axis of subversion” which “must be confronted before it can undermine democracy” (Kellogg 2007 p.191). However, the US state no longer has the ability to brazenly control its “backyard” in the fashion it did during the 20th century, and has struggled in co-opting any local governments into confronting the ALBA. Friendly relations between ALBA members and non-ALBA members, such as the “izquierda permitida” (permitted/moderate left) governments of Argentina and Uruguay, and a new Latin American independence marked by US isolation within the OAS over issues such as the blockade of Cuba instead characterise the present context. In lieu of the FTAA the USA has had to resort to bilateral trade agreements, the expansion of Military presence where it still is able to (such as within Colombia under the pretext of anti-narcotics), and the funding of local opposition groups. Criticism of the ALBA as anti-democratic, or as some kind of dangerous sub-imperialism, has overwhelmingly failed to impact upon how it is perceived and has been dismissed out of hand by representatives of ALBA’s smaller member states such as St’ Lucia (htstlucia 2013). External opposition to the ALBA so far appears to have failed in significantly harming the project, but what about the alliances internal coherence? Michael Lebowitz has claimed that a great threat to Venezuela’s Bolivarian Revolution is from within itself (2006 p.105), could this also be the case with the ALBA? As is bound to be the case with an organization which incorporates a diverse multiplicity of actors and is pushing up against structural boundaries, the ALBA has various internal contradictions. Social movements are able to organize within the ALBA via the official council of social movements, which is hierarchically equal to the councils of ministers and therefore, in theory at least, takes on an authoritative position of equal footing to governments (Fuentes and Pereira 2011). This grassroots support for the ALBA from independent social movements (many of whom were fundamental in the overthrow of neoliberal regimes), is key to the claims by the ALBA that it is an integration agreement created from the grassroots. This feature is regularly praised by commentators as an “important and innovative” aspect with regards to regional agreements (De La Barra and Dello Buono 2012 p.35). However, social movements also organize through the “continental assembly of social movements towards the ALBA”, which sits outside of formal structures and is intended to be a bottom-up initiative which is relatively autonomous of state power (Martinez 2013 p.63). These dual fronts (through the council and the assembly) which social movements are acting on highlight the complex relationship between the social and political. Many social movements which mobilized against neoliberalism are broadly supportive of the ALBA, but simultaneously they remain committed to maintaining autonomy, including the ability to mobilize and pressure the ALBA and its member governments if necessary (Martinez 2013 p.70). This qualified or limited support in theory has burst into practice with regards to the ALBA’s supposed consolidations of “extractivism”; the economic reliance upon natural resource extraction and export. Dependency upon the extraction and export of raw materials has many negative economic and ecological effects. Although development is no longer seen in crude binary terms where industrialization equals development, economic dependency on the export of raw materials (where one commodity such as oil or copper often dominates) is not seen as a reliable basis for development due to volatile international prices, long-term deteriorating terms of trade, and the power of buyers in the market. 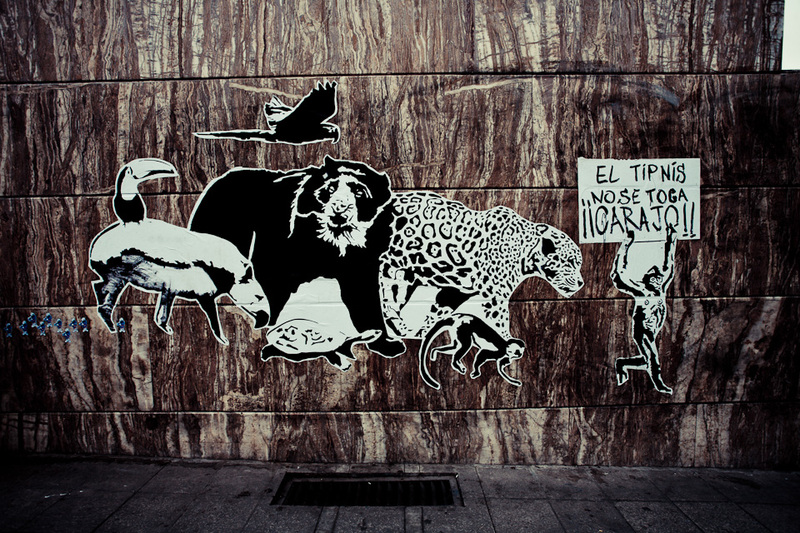 Furthermore, large-scale resource extraction is ecologically destructive, both in the immediate effect it has upon local ecologies and in the global effect it has through climate change. As the ALBA has identified itself as a protector of “Mother Earth” and as an organization which aims to aid its members in achieving “integral development”, the perpetuation of the “extractivist” economic model within its territories seems contradictory. This contradiction can be seen vividly in the divide between indigenous organizations and the Correa government in Ecuador, and especially in the deadly clashes there have been in Bolivia over the construction of a mega-highway through the Amazon. But is this apparent contradiction between rhetoric and practice really so simple? The ALBA has been produced out of conditions not of its own making and is having to work within a framework for action imposed by its historical context. In this regard, Thomas Muhr has argued that continued “participation in the global capitalist economy via resource extraction” is a “contingency” which will eventually be overcome (Muhr 2013a p.7). To expect an immediate transition from a thoroughly entrenched economic model based on the export of raw materials to one which is ecologically sustainable would be to ignore the context in the ALBA exists. The heated debate between positions which stress structural limitations and the need for time, and those who argue that there are few signs of a transition away from “extractivism” occurring (Gudynas 2013), is likely to continue for some time. The ALBA has progressed significantly since its inception by a rather isolated duo of anti-neoliberal Venezuela and socialist Cuba. The alliance is now buoyed by the participatory support of eleven national governments, a variety of social movements and faces little hostility from Latin American neighbours who have failed to side with condemnation from the US state. The creation of institutions such as the ALBA and UNASUR, along with the isolation of the US over issues such as the blockade of Cuba, characterise a significant change in the hemispheres political terrain. The contents of this page aim to serve as a brief introduction to the Bolivarian Alliance. It is by no means a comprehensive analysis, and it certainly remains a particular interpretation of the author. In order to reach your own conclusions I would encourage you to explore the variety of literature and videos on the ALBA, links to which can be found on this website. Lars. Have you heard of ALBA? South American national coalition including Bolivia, Cuba, Nicaragua and others. I ran into it in the last chapter of Shock Doctrine. Very interesting and encouraging.